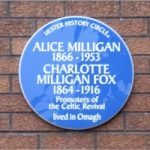 Alice Letitia Milligan was born at Gortmore, Omagh, County Tyrone on 4 September 1866; the third of 13 children. 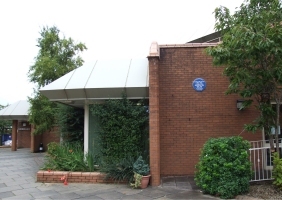 She was educated at Methodist College, Belfast, Magee College, Derry, and King’s College, London. She went to Dublin to learn Irish, and as organising secretary of the 1798 centenary celebrations in Ulster, she invited John O’Leary to Belfast. 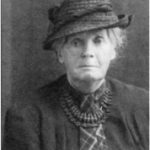 She was a friend of James Connolly, a member of Inghinidhe na hEireann and of Sinn Fein, and supported Winifred Carney when she stood for parliamentary election in Belfast in 1918. For some years Alice was organiser for the Gaelic League and gave history lectures throughout Ireland. She published poetry in the United Irishman among other journals, and in 1895, with Anna Johnston (pseudonym Ethna Carbery) founded and edited the Northern Patriot. She also edited the Shan Van Vocht from 1896 to 1899. In 1900 she wrote a play, The Last Feast of the Fianna, for the Irish Literary Theatre, and The Daughter of Donagh for the Abbey Theatre. In 1898 she published a Life of Wolfe Tone and later a novel, A Royal Democrat as well as a book of poetry The Harper of the Only God. She published two other books; one of them, Glimpses of Erinn, in collaboration with her father, and the other, Sons of the Sea Kings, with her brother. She was a founder member of the Ulster Anti-Partition Council. In 1941 she received an honorary degree from the National University of Ireland. She died in Omagh on 13 April 1953. 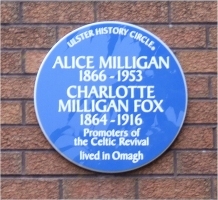 Charlotte Olivia Fox, elder of the thirteen children and sister of Alice Milligan, was born in Belfast. 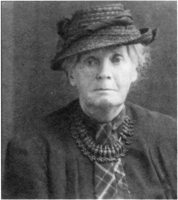 She founded the Irish Folksong Society in 1904. 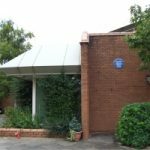 She was a musician in her own right and collected folk songs and airs throughout Ireland on gramophone. She published Annals of the Irish Harpers from Edward Bunting’s papers. She jointly edited, with Herbert Hughes, the early issues of the Journal of the Irish Folksong Society, first issued in London in 1904. She died in London.